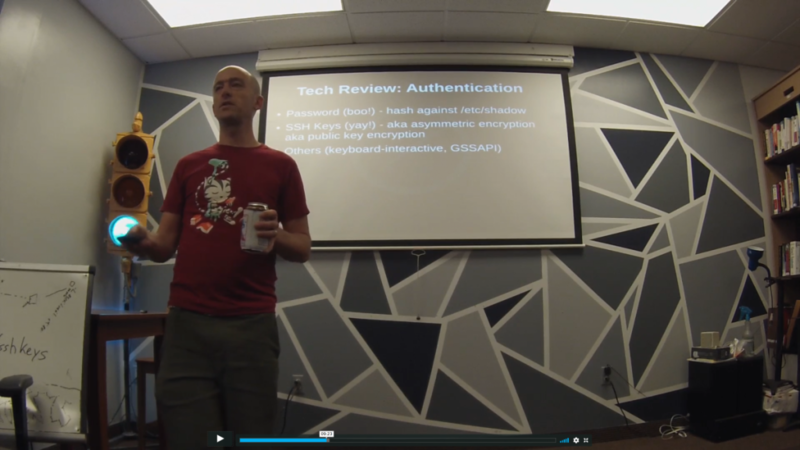 As part of putting some good hardware to use, I taught a class on how to use SSH Keys the other week. As this was the first time I taught this class, it took a good long while to do the prep for it. I figured it’d take 6 hours (3 sessions @ 2hr), but I think I ended up putting in closer to 15 hours. There’s still room for improvement! PS – I know, I know, those are not VMs, they’re actually containers!